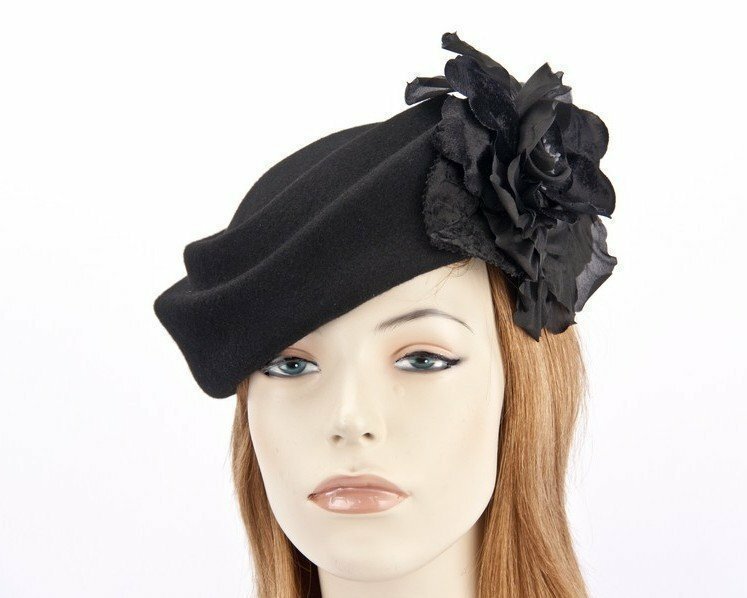 Large elegant black felt pillbox with silk rose for autumn and winter racing events. Suitable for royalties, this style of pillbox was worn by Kate Middleton and Jackie Onassis. Now you have an opportunity to own one too.